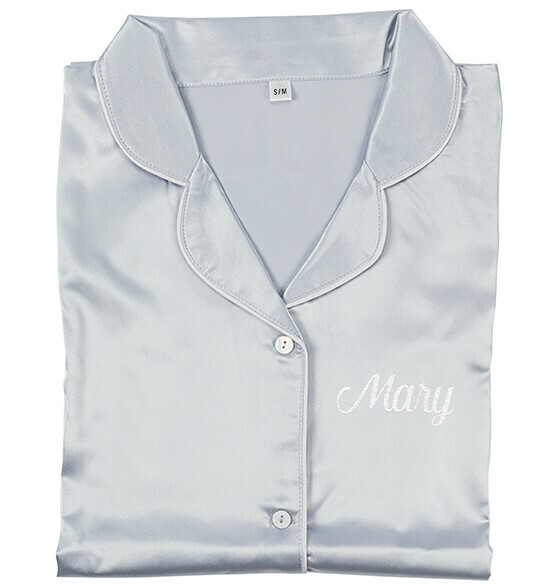 Relax and feel at ease while wearing this chic personalized Satin Night Shirt. 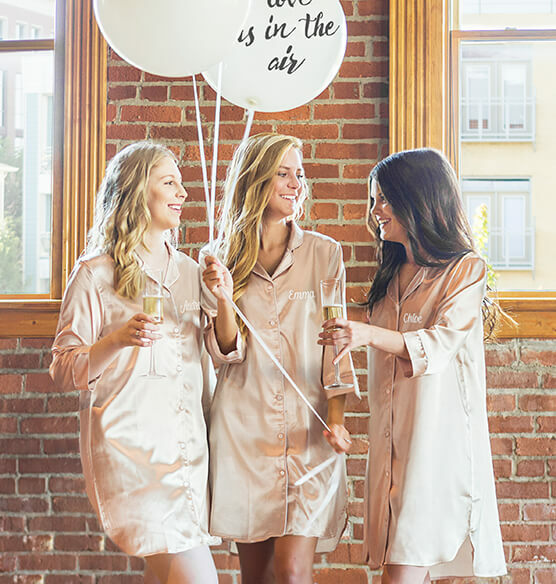 Crafted for comfort and style, this nightshirt feels ultra-soft next to your skin. The casual button-down front makes the personalized nightshirt easy to slip on and off. Other standout features include a low-cut neckline and a figure-flattering short hemline. 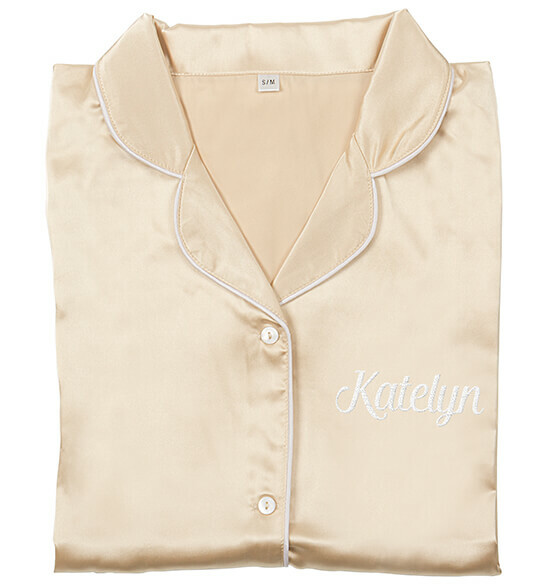 Personalize this luxurious custom pajamas with your name, a single initial or three initials. S/M (34" L x 19" W), L/XL (35" L x 21" W).